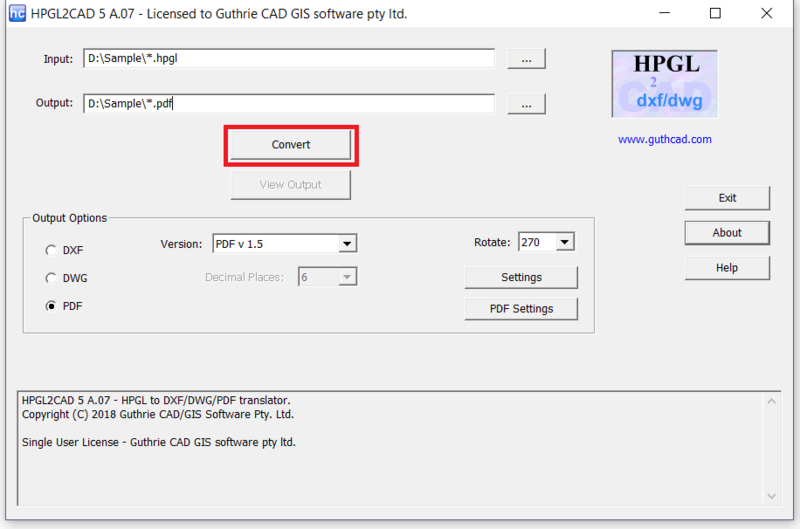 Our PLT/HPGL to PDF converter, HPGL2CAD, produces high quality PDF output with one click. 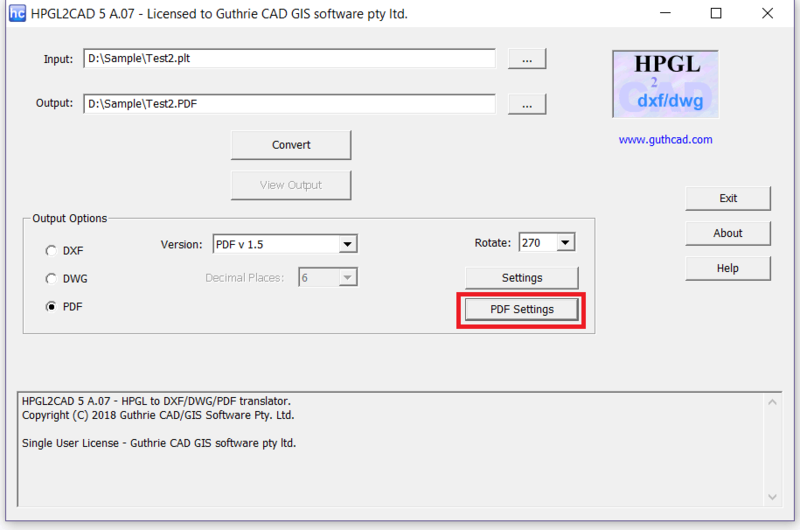 This simple software enables you to convert HPGL & HPGL2 to PDF in easy 5 Steps. Download free 100% fully functional trial! 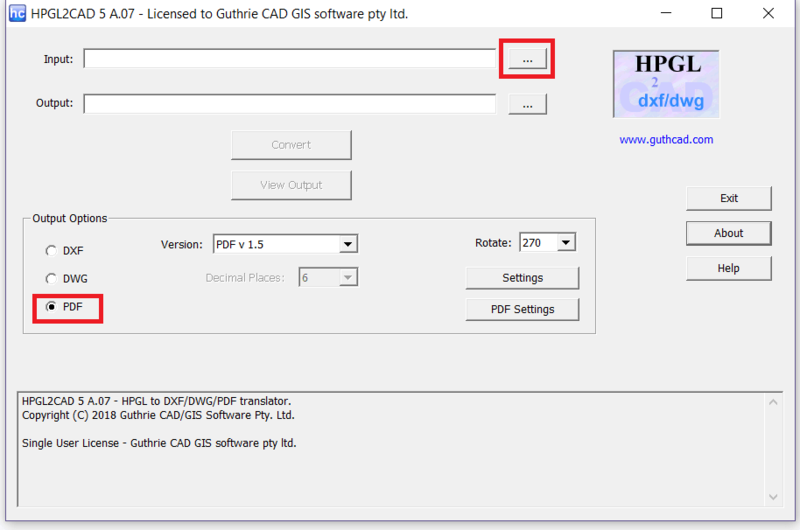 Step 1: Select PDF as Output Format and click ... button. 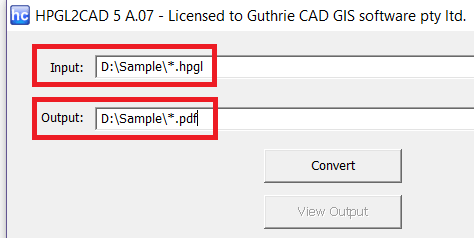 Step 2: Select a file to convert to PDF and then click Open button. Step 3: If you would like to change PDF output Settings, click PDF Settings button. Step 4: You can easily change PDF output configurations here, such as layers support, page size, colors, embed fonts, whenever necessary. Press OK button. Step 5: Press Convert button. Once the translation ends, press View Output button. Then you can see a resultant PDF file on your PDF viewer. Batch Conversion: You just need to type "*"(asterisk), ". "(dot) and file extension in both Input and Output. For example: *.hpgl in Input and *.pdf in Output. Then press Convert button. In case of .PLT file, type *.plt in Input. ""I can't tell you how much time and money this conversion program has saved me and my company! Thanks so much and keep up the good work. "The software support was just stunning! We encountered a problem with some very old drawings, so I reported this trouble to Guthrie's technical support staff. I've got the response within minutes and full commitment to resolve this problem within hours!" 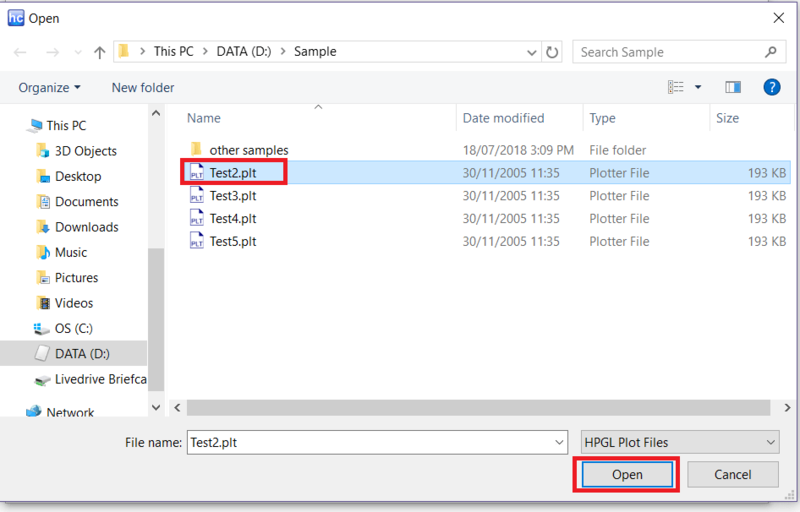 • Converts all HPGL, HP-GL2 and HPGL2 files to PDF, such as converting HPGL to PDF / PLT to PDF / HPGL2 to PDF. • Change PDF color scheme, page size or margin. • Embed fonts or Convert Text with SHX font or TureType font as geometry. 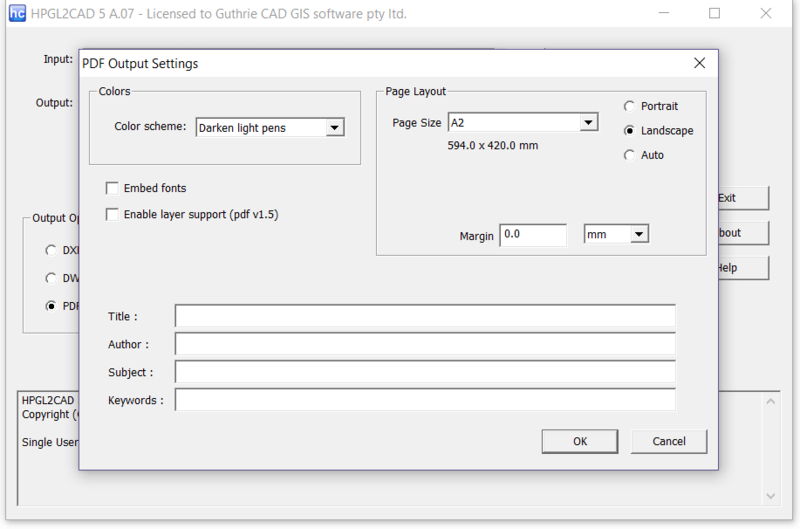 • Enable layers support (PDF Version 1.5). • Edit PDF title, Author, Subject and Keywords.